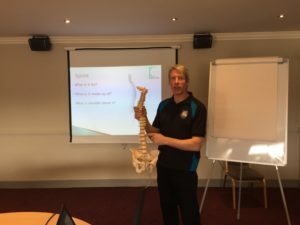 The aim of this Manual Handling Instructor Refresher course is to refresh your knowledge and Skills for delivering a manual handling Course. In successful completion of this course learners will receive a Qualtec Manual Handling Instructor Certificate. This is a requirement by the HSA for manual handling training. Learners should have a good command of English both verbal and written. Learners should have already completed the QQI Level 6 Manual Handling Instructor course. Competence. All of our trainers are fully qualified to deliver this course. We use both qualified Health & Safety trainers and Physiotherapists. Resources. On completion of this course learners will be registered on our elearning centre. In this they will have access to our PowerPoint presentation, guides, videos and useful links. Progression. On completion of this QQI Level 6 Manual Handling Instructor Refresher course learners can progress onto the QQI Level 6 Patient Handling Instructor Course, PHECC FAR Instructor Course, PHECC CFR Instructor Course, Abrasive Wheels Instructor Course, Fire Safety and Fire Marshall Instructor Course, DSE/VDU Asssesor Course and the QQI Level 6 Training Delivery & Evaluation Course. Location. Springfield Hotel, Leixlip Dublin Kildare.